This acrostic for the word ‘team’ is often displayed in classrooms and quoted to our children to encourage them to work together. 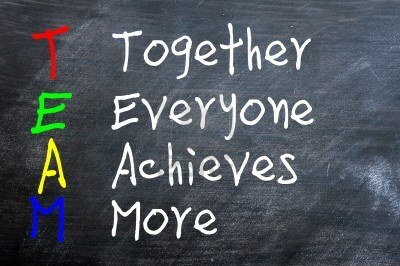 It struck me today the the concept of ‘together achieving more’ is particularly relevant to franchising. Large restaurant franchises such as McDonalds and Burger King often give the impression that franchising offers a safer than average business opportunity in return for a higher than average investment. In fact, many people believe that they need more money to enter into a franchise than to start up alone. Whilst this may be true for some franchise opportunities, it certainly isn’t true of a Fun Science franchise. 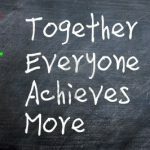 We believe that together everyone really does achieve more. Say for example, 10 people decided to set up their own business. Each person would need a website, logo, advertising, ideas, multiple items of graphic design, equipment, email address, copywriters – the list goes on. However, if those 10 people buy into a franchise, they will share a website, logo, advertising, copywriters, ideas and graphic design and equipment can be purchased in bulk. This reduces the costs for everyone. Plus, if the monetary benefits weren’t enough, a franchise offers you the backing and experience of a much larger brand. This enables you to start your business a step ahead of other start ups and begin making money from day 1. Fun Science offers exclusive franchises for a start-up price of just £5,995. 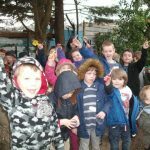 To find out more click on one of the links to the right of this page.